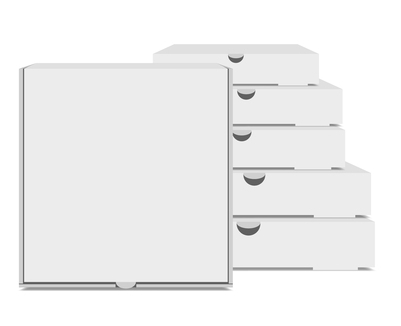 Pizza Boxes available in 5 sizes 7,9,12,14,16 inch square. White Corrugated boxes made with the highest quality board. Brown inner with vent holes to prevent internal condensation. These boxes offer great stacking strength and are a smart looking design.